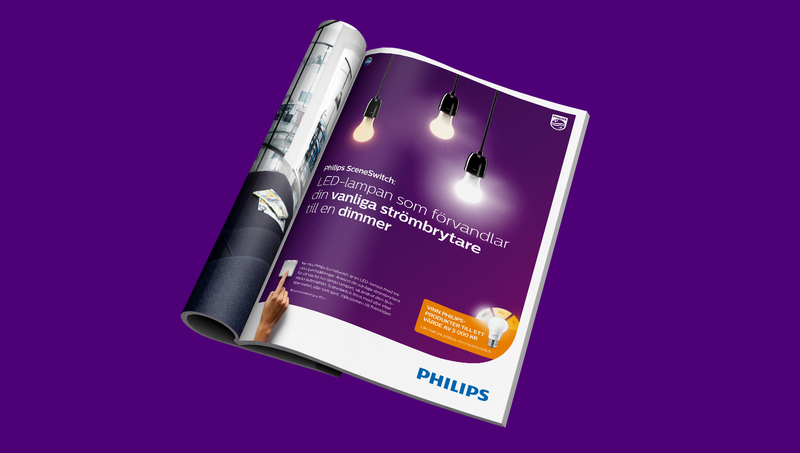 We had the pleasure of introducing a unique light bulb to the Nordic markets with an online and offline campaign. Unheard of in the Nordics, this light bulb makes it possible to adjust the intensity of the light with your regular dimmer. This was so new and unique that we decided to let the message speak for itself in a simple and visually strong way. 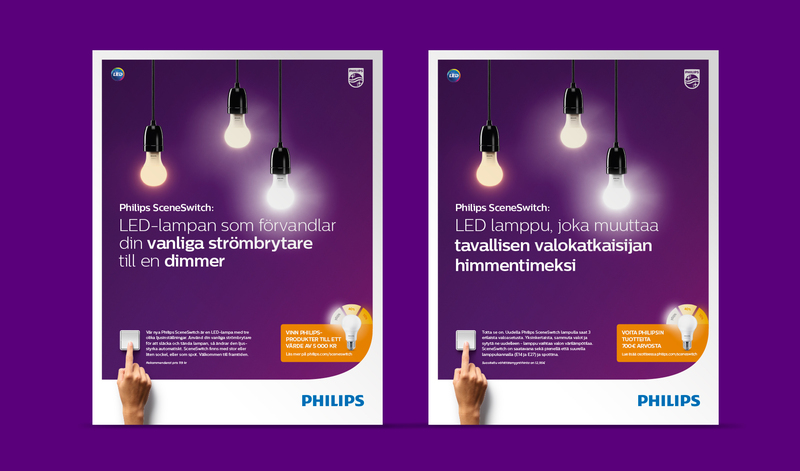 In online banners you could even change the light yourself to get an impression of how the product works.